With a plethora of different poker games and variations, it can be difficult to know exactly which ones to play when trying to implement a sound bankroll strategy. We all know just how important bankroll management is. Once a sustainable bankroll strategy is in place, any financial worries about funding poker diminish and more focus can be applied to learning the game and improving ability. Bankroll management is not just about determining financial boundaries and ensuring you play within your means. It is about finding the right game mode for you and capitalising on it. A bankroll should be seen as a tool to learn the game as opposed to simply just a metric. No Limit Texas Hold’em is the game that most associate with poker. It is undoubtedly the game that any beginner should start with to learn general poker strategies and experience gameplay. Once you’ve mastered basic poker principles, then it is time to find your niche. It is okay to stray away from the safety of Hold’em and explore other game modes, but use sensible stakes. There is no shame in going down to the micro-stakes to learn about other game modes. The right game to play is specific to each individual player. If you’re playing a game that you are unfamiliar with, profitability in the long run will be unachievable when you first start off. Therefore, you should be staking no more than 1% of your bankroll. Even when playing those games that you have mastered (such as Hold’em and PLO), you should not be staking more than 2.5% at the very most in one buy-in. For example, if staking 10% at a time, one losing period could be absolutely detrimental to your bankroll. If you are buying in for less than 1% each time though, you can handle multiple losses in succession. So maybe you have found your game, but with the popularity of poker soaring recently thanks to the evolution of online poker sites, there are many, many different ways to play that same game. The most popular methods to play a poker game are tournaments, Sit ‘n Gos and cash games. 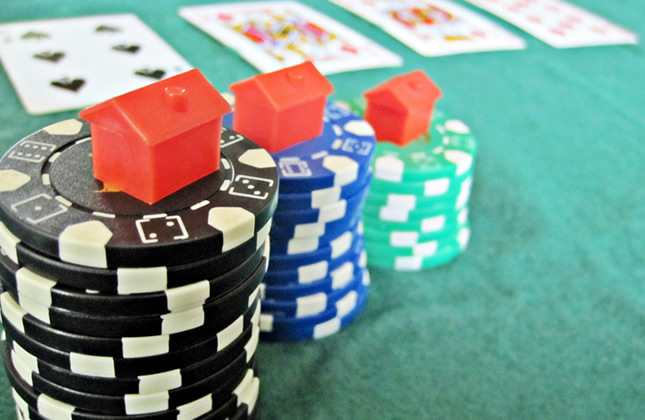 So, which one is best for building a bankroll? One of the biggest misconceptions of poker is that it is a game of luck. Whilst luck does factor as a minute element of poker, skill is much more prominent. The most skillful poker players will win over a long period of time when playing cash games. That is because they can continuously get themselves into situations where they will be favourite to win a hand and fold when they’re not. Obviously a player cannot ‘get it in good’ 100% of the time, but the best poker players will get their money in the middle more times than not when they are favourite to win the hand. Therefore, if you have a solid knowledge of a poker game, cash games are your best bet to build your bankroll. Sure you may suffer a bad beat once in a while, but if you are consistently getting it in good you will be profitable over time playing cash games. Also, it is a lot more difficult to play through your bankroll as losing all your chips does not necessarily mean the end of a session – you can simply buy-in with more chips and continue to play at the table. However, during a tournament when you lose your chips you are out (unless rebuys are available). Therefore, a player can get all of his money in as an 80% favourite to win the hand pre-flop, suffer a bad beat and be out of the tournament. Equally, you could win ten flips in a tourney but as soon as one is lost that could mean elimination. Sit ‘n’ Gos are a variation of tournaments, with usually much smaller fields. There is definitely more skill needed to persistently profit from these as opposed to tournaments as position play and ICM become far more relevant. Best game and way to play it? It is somewhat of a vague answer, but if you are simply looking to build your bankroll, you should play the game that you have most faith in your own poker ability with. Most professionals started off by grinding cash games beginning with No Limit Hold’em, but if you feel confident in your PLO play go for that. Cash games are the way to go in terms of building bankrolls. Although they’re fun, avoid tournaments as the uncertainty cannot be combated and there are no guarantees that playing good poker will equal positive cash results. Pros such as Parker ‘Tonkaaaap’ Talbot have made a name for themselves by crushing small-field Sit ‘n’ Gos, but cash games provide more consistent profitability in the long run.